Bostonians justifiably were proud that “Constitution” and the frigate “Boston,” key ships of the new American navy, were produced in a local shipyard. 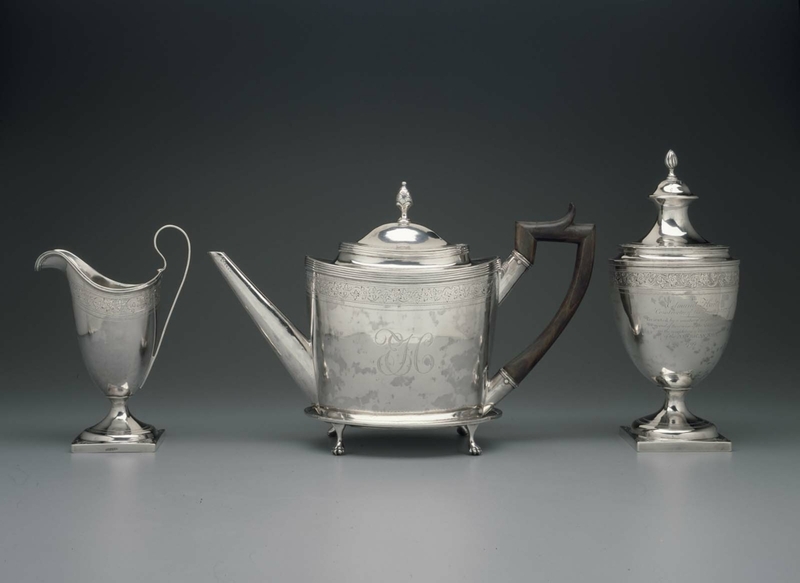 In 1799, when “Boston” was completed, the citizens presented this tea set to Edmund Hartt, owner of the shipyard, for his “Ability, Zeal and Fidelity.” Revere, who made the copper fittings for both ships, fashioned the tea set from rolled-sheet silver and decorated it with a Greek-key fret in the Neoclassical taste. 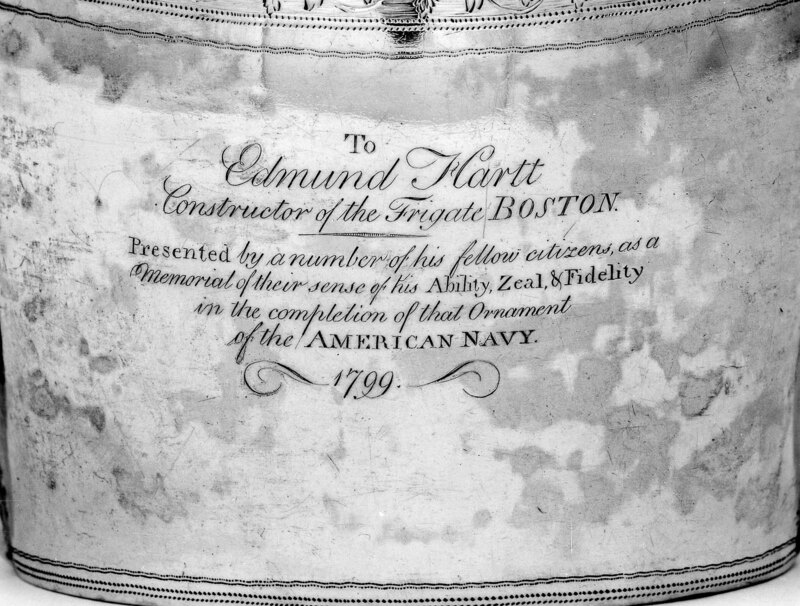 NOTE: Given to Hartt in gratitude for his efforts as a shipbuilder for the American navy. 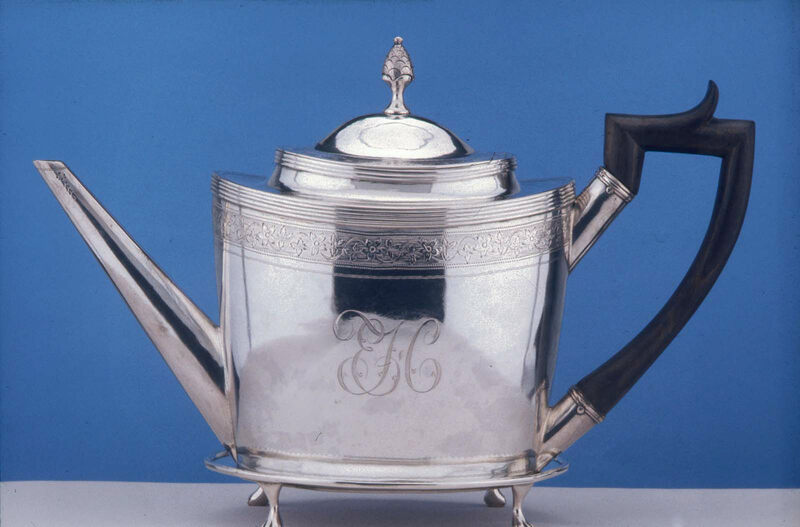 The tea set was included in Hartt’s probate inventory at the time of his death in 1824. According to Dr. William Hartt (telephone conversation with the MFA, 2006), family tradition holds that in the nineteenth century, one of Hartt’s descendants lost the tea set to James Longley in a card game, though there has been no way to verify this story.